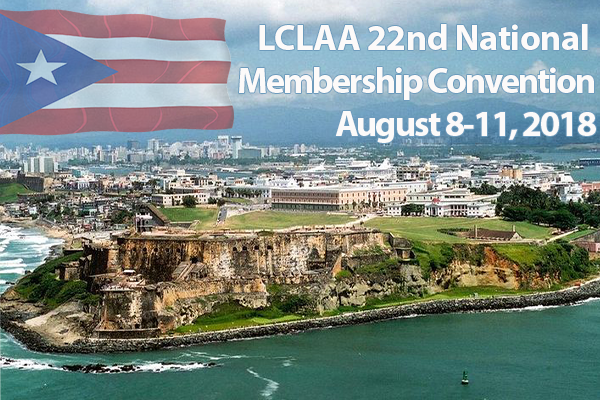 The Labor Council for Latin American Advancement (LCLAA) is hosting its 22nd National Membership Convention in San Juan, Puerto Rico at the Intercontinental Hotel from August 8–11, 2018. As Puerto Ricans confront extensive infrastructure and public health issues caused by Hurricane Maria, LCLAA will hold this year’s convention to stand in unity with Puerto Rico’s working families. Conference delegates will strategically work on the priorities of Latino and immigrant workers in the nation. Topics will include protecting workers rights, public education, immigration, organizing and civic participation, including the Puerto Rican brothers and sisters that left the island. As part of LCLAA’s advocacy work to support the island’s people, they will create a space in the convention program for members to conduct relief efforts in communities that remain affected by the hurricane. They will also host a strategic discussion with other national organizations, unions, student and community groups about the work needed in Puerto Rico, the future of families, and how to work together to bring national attention to these needs. Click here for the tentative schedule of events. For questions or additional information, please contact LCLAA at (202) 508-6919.